The analysis comes from Brake, which is highlighting the safety of motorcycle and bicycle riders under the theme ‘Bike Smart’ as part of national Road Safety Week, which runs from 19–25 November. 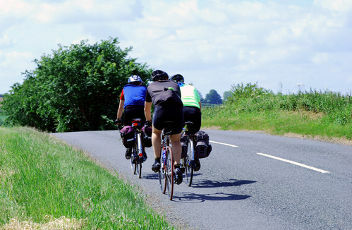 The charity said its analysis has highlighted the vulnerability of those on two wheels, particularly on rural roads. In comparison with car drivers, cyclists and motorcyclists are 34 times more likely to be killed and 63 times more likely to be killed or seriously injured, per mile travelled on British roads. Cyclists and motorcyclists account for nearly four in 10 of all deaths and serious injuries on British roads – a total of 9,740 in 2017 or an average one bike death or serious injury every hour. Bike deaths also make up more than a quarter of all British road deaths, with a total of 101 cyclist deaths and 349 motorcyclist deaths in 2017. Brake highlighted the fact that two thirds (301) of bike deaths in 2017 took place on rural roads – the highest number of bike deaths on Britain’s rural roads for more than five years. The fatal crash risk facing bikes on rural roads – which accounts for miles travelled – is also at its highest since 2010. A survey of more than 1,000 drivers, commissioned by Brake for Road Safety Week, has found that the majority of drivers (52%) feel that bike riders are most vulnerable on urban roads. Department for Transport statistics show that rural roads pose more than three times the risk of a fatal crash for both cyclists and motorcyclists, compared with urban roads, Brake said. Brake is calling for drivers to be ‘Bike Smart’ by slowing down, taking care to look properly at junctions and doing the ‘Dutch reach’ to avoid car dooring.